Zakta enables organizations to tap into their collective wisdom to drive better business decisions. The Zakta Collective Wisdom Platform is available for licensing. Startups, Independent Software Vendors (ISV’s), Systems Integrators (SI’s) can integrate the Zakta Platform into their solutions to leverage the power of collective wisdom. 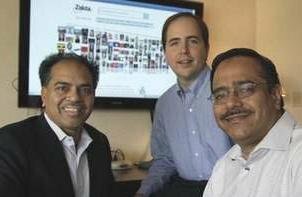 Zakta was founded in 2007, and is backed by Vora Ventures.